Seals and dogs are both notoriously friendly, so it's little surprise that they'd become friends upon meeting. 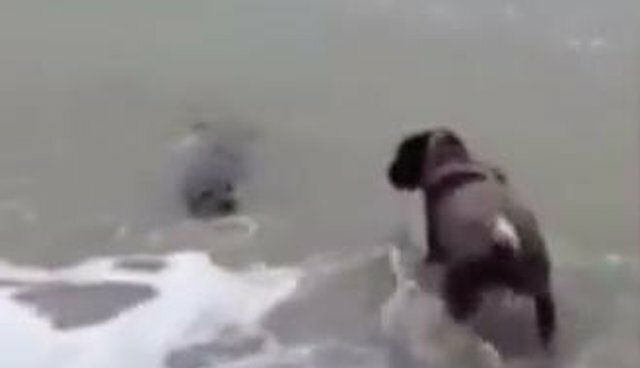 A recent video shows a curious seal and playful dog bonding over some shared beach playtime. The little seal glides through the breaking waves while the dog bounces in and out of the surf. 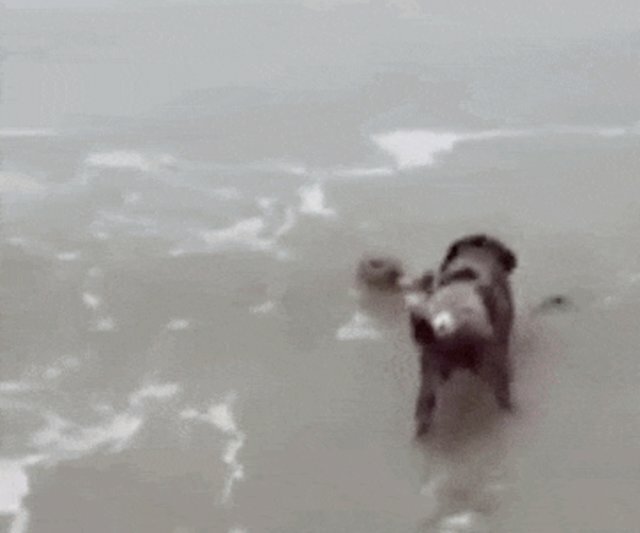 At one point, the seal appears to "boop" the dog on the nose repeatedly with his flipper. Dogs and pinnipeds appear to have a special gift when it comes to crossing species barriers. Just last week we saw a dog try to befriend a pod of dolphins, and a sea lion trying to drown a group of divers in cuddles.